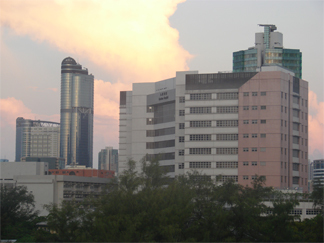 Kowloon Hospital is a general care hospital based in Prince Edward Road in Mong Kok of Kowloon in Hong Kong. The hospital specialises services in psychiatry, rehabilitation, respiratory medicine and geriatrics. The hospital's operation team has around 300 people on site. Required a robust Time Attendance to monitor their employees. Needed a facility to take snapshots of each transaction made by the employee. Has an existing Time Attendance software already in place so required a system that was compatible and easy to integrate. 4x ACTAtek Smart Card Terminals with CMOS Camera option was installed on site. Integrated LAN Connectivity allows remote network access to the terminals from multiple locations. Log events and transactions can be exported from the terminals directly via a standard Web Browser. Exported data are used to feed key information to KowloonHospital's bespoke TA software. The Operations Team from Kowloon Hospital was overall pleased with the levels of support and the efficiency of service provided by ACTAtek, praising ease of use on the Time Attendance solution as well as meeting well within their budget. Kowloon Hospital was satisfied with the solution and would highly recommend the system for others to use.